New project in the ADA 45P Cube Garden. A brazilian mountain layout try.. this hardscape really need plants to look better. Sides, middle and background will be planted with mostly stem plants. Some color as well. 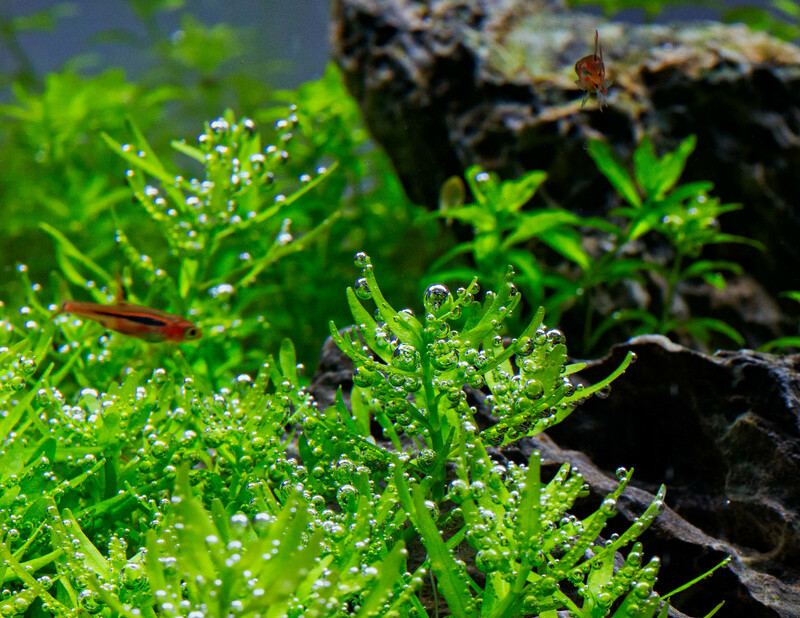 It was time to trim some pearlweed. This aquascape is currently 130 days old and adapting to softer water as I recently switched to RO water. My tap water is hard (kh 10+) and with seiryu (limestone) rocks the kh raises a lot. So far the plants seem to respond positive to the softer water. I am aiming for around 6-8 kh now. What KH do you run in your aquascape? It seems I couldn't get away with lean dosing with a kh of ~13,5. Since yesterday I am trying 3,5 ppm NO3 a week in this tank to see if I can boost some color in Rotala Rotundifolia without stunting other plants. Hi Nigel , nice growth and video! I'm running 5 Kh in my tanks but I've soft tap water. Rotundifolia needs a lot of light to get orange, mine is light orange and can't get more because my light is only medium on my 60p (twinstar ES600). In my tank, the KH is between 1 and 3 ; 100% RO water and it works well. Dans mon bac, le KH est entre 1 et 3 ; 100% d'eau osmosée et ça fonctionne bien. Very nice I think KH 5 is perfect. Agree plants don't need to be to red. However in this Brazilian style tank I need a little bit more color. Orange will be perfect to have some contrast and uplifting ambiance.